The Loyola Track & Fields Relays took place at Loyola Blakefield, on Saturday, and, on the boys’ side Gilman scored in 13-of-14 events to post 102 teams points and easily top the field, while Mount de Sales battled down to the wire with Notre Dame Prep and Maryvale Prep, edging the Blazers and Lions, 84-80-78. Gilman won five individual events, including the 4×800 (8:03.1), 4×100 (43.0), 4×400 (3:26.3), Long Jump (62-10.5) and Triple Jump (128-07). The Greyhounds also took second in the 4×200 and Shot Put. 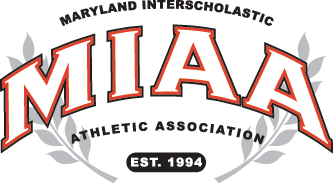 Calvert Hall won the DMR (11.04.7), McDonogh captured the SMR (3:42.2), Loyola was victorious in the 4×1600 (18:58.8), and Archbishop Curley prevailed in the Discus (316-9). Mount de Sales claimed wins in the DMR (12.21.7), Shuttle Hurdles (1:12.6) and 4×800 (10:03.7). Bryn Mawr took first-place in the 4×400 (4:18.7), Long Jump (44-01.5) and Triple Jump (100-03.75), while NDP won the 4×200 (1:51.6) and 4×100 (50.81). Pictured above: The Gilman 4×800 relay team which qualified for the Penn Relays with a time of 8:03.01. Click the line below to download the complete individual event and team results.